Former world champion Ricky Burns will challenge champion Edis Tatli for the European lightweight title at the Sheffield Arena on 24 October. 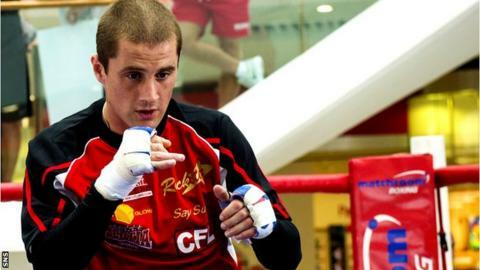 The Scottish boxer, 32, will fight the 28-year-old Finn for the belt he won in April against Yvan Mendy in Helsinki. Tatli's only defeat in 26 bouts was in a WBA world title challenge against Cuba's Richar Abril. Burns' bout is on the undercard of Kell Brook's IBF world welterweight title defence against Diego Chaves. Former WBO super-featherweight and lightweight champion Burns was most recently in action a month ago when he beat Ghanaian Prince Ofotsu in a non-title contest in Hull. The Scot's record stands at 38 wins in 44 bouts.